Based around the idea of the power of the pen and the written word, young men divulged their stream of thought. 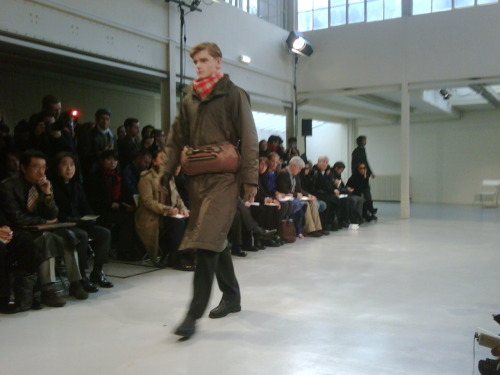 Loved the urban layered quirkiness of it all, each boy almost existing in such an individual way in each outfit. Loved the eclectic feel of it - Khakis, nylons, plaids, chunky woolens worn to suit each boy, giving a real mash of texture and colour.